We love to go barefoot over here! 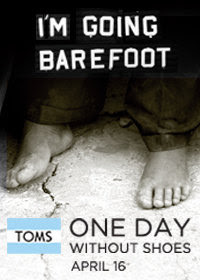 Please check out this new video from TOMS and help raise awareness on April 16th by going barefoot yourself. I have an Abe update I'm working on-- he is doing amazing, working hard and continuing to make great progress!! :) Thank you Lord! A daughter of an old (time, not age) friend of mine is selling some of her art for their upcoming mission trip to Kenya this summer. Half of the proceeds from her notecards will go to fund programs at the hospital the family (dad is a Dr.) will be serving. Check it out- she is talented. Click here to visit her site. Most of you know Melissa, my sister in law. You know she is doing a great work in the inner city with her family, and you know she is h.i.l.a.r.i.o.u.s!! You may not know that she has a brother that has just returned to the war. Trust me when I tell you that he is a total bad a**, but that doesn't make it easier on Melissa or his family. Head over there to let her know you will be praying for him on this next tour! I read this letter on another blog and thought it was definitely worth sharing. Tyler was recently sent back to the war and he wrote his mama this letter. It is powerful. For those of you who are diligently praying for the troops I ask you to pray for America. At some point during this war, the death of American soldiers in combat has become unacceptable. What has become unacceptable is the American public calling for a withdrawl. Our grandparents during World War II had ration cards, victory gardens and a nationwide speed limit of 40 (due to the wear and tear on tires since rubber was in such a short supply). The American public has sacrificed nothing. If anything they have only benefitted from the fact this war has stabilizd this corroding economy. The fact of the matter is, America, not the troops has become the casualty in this conflict. The will that got our great-grandparents through the depression has disappeared. The heart that got young men through the draft in both World Wars also has dissipated. The heroism that was so commmon in Vietnam has now become a rarity. I have served in multipule theatres and can say from absolute truth I know exactly what I have signed up for. I have lost friends. But through it all I know exactly what I have to do and that is press on. Sadly, the same America I signed up to defend is not the America I know now. This war on terrorism has been reduced to coffee talk at colleges and debates on the media. For those of you out there who know how to fix this conflict or at least tell your friends how to, sign up, suit up, and come on over. There's plenty of room for all. I will get off my soapbox now.....I will ask you once more though, pray for America. This is my sister Kelley. We would be friends if we weren't sisters, we just get each other. I talk to her every day and I'm so thankful the Lord has given her to me to walk through this journey called life. 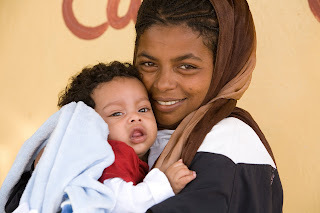 She traveled to Ethiopia with us and I just couldn't have imagined the trip any other way. It was a huge sacrifice for her family, but just something we both needed. She was a gift to have on the trip and you could see Jesus shining brightly through her all week. Sisters support each other- that is just what they do! 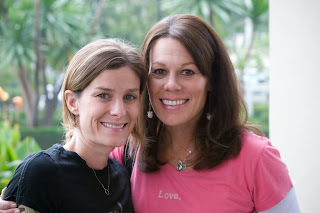 Kelley and her sweet friend, Robin, have started a new business venture. They both are interior designers and have great taste. They will be at Marburger Farms at the end of this month. If you live anywhere near this lovely part of Texas, you should go visit, really!! Check out their new blog that gives better details, etc. 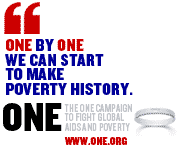 Watch the video on the right side of page from Glimmer of Hope. Head over here to be a part of Team Ethiopia! Kristin, thank you once again for blessing us with your gift! Our little man is ONE today! I love that we have now officially spent more of his life with him than without him. We can't imagine our lives without Abey. So many people say how blessed Abe is to have been placed in our family, what a gift that was from the Lord, but the truth is that Team Alexander needed Abe so much more than he needed us. He has changed us in every way! 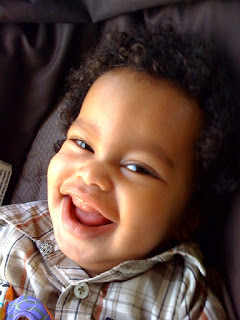 From the trip to Ethiopia to the knowledge of his incredible special needs- he teaches us so much. He is happy and can change a bad mood instantly with that big gummy smile (his two top teeth are about to break through though). He is so determined and we all marvel at his strength and fight to work hard in therapy. 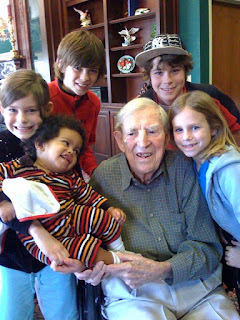 I wish each of you could see what he has done for the other 4 kids- it simply makes me cry. They delight in this child like nothing I have ever seen. I praise the Lord for this precious bond He has created between each of them. 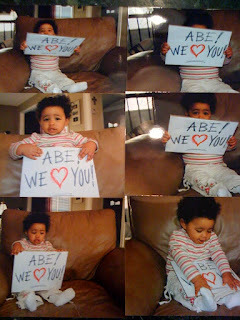 We also think about beautiful Denkanesh today and her incredible love for Abe. Meeting her in Addis was a treasure and a memory that will live with all of us forever. I'm so thankful that Kristin was there to capture priceless images of the two of them. We are praying for her today. 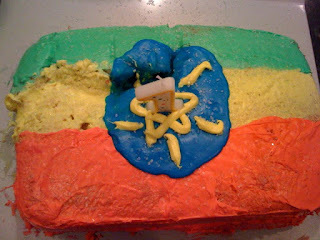 Avery made this cake all by herself yesterday in preparation for today's celebration!! She wants you to know that part of it broke - I think it is beautiful. Remember my manna post? Well the Lord continues to provide in the coolest ways. I have followed the Hoffman's journey to Ethiopia for some time. 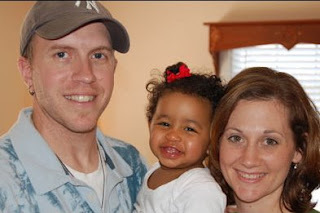 They lost their son, Brighton, before they were able to hold him, traveled to pick up their beautiful daughter, Meron, and are just a special family to Team Alexander. 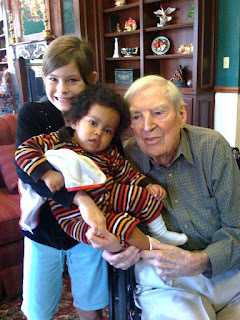 They have come alongside us, supported us, encouraged us and little Meron has faithfully prayed for her buddy Abe. 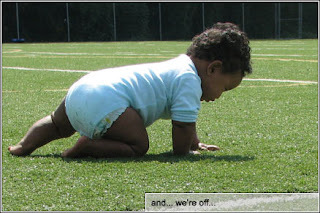 Shortly after we got home, Tymm did a cute post of Meron starting to crawl on a football field. The boys were reading it and holding Abe. They started saying, "Abe, you can't let some girl beat you. You are going to be passing Meron so fast"!! I emailed Tymm and Laura just to let them know game on! :) After Abe's diagnosis it was apparent that he might not be catching up as quickly as the boys had hoped, but I know Tymm, Laura and Meron would be some of the first to cheer him on to do so. Here is Abe working hard in therapy last week. We are so proud! We know you can do it!! Can you see the determination in his eyes? He is driven. Thank you Lord for that gift. 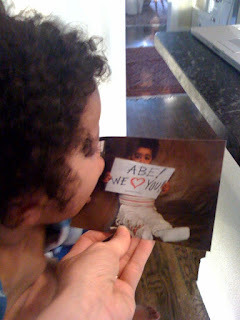 Look what they sent us in the mail- a bunch of pics of precious Meron holding this sign and a very encouraging card! It once again made me cry at the sweet ways the Lord continues to sustain us on a daily basis. Thank you Hoffman family! Come to Texas for the Yankee series and we will take you to the ballpark. We thank the Lord He allowed us to walk this road to Ethiopia together. 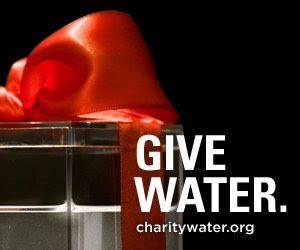 Please go visit my friend Lori's blog to see her awesome idea. 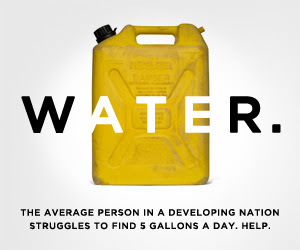 This will be an wonderful way to honor our children and impact hundreds of Ethiopians by giving them clean drinking water. Way to go Lori. I'm really proud of you for stepping out there!! Head on over to my girl at Kisses from Katie for another amazing post! We took a road trip to visit my grandfather yesterday. This was Abe's first time to meet Popo and it went really well. 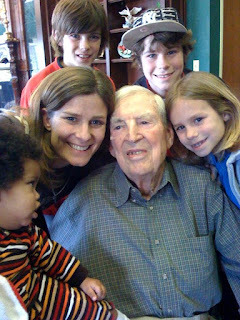 Popo is my mom's dad and is 97 years old. His mind is super sharp. 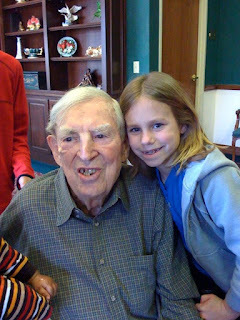 We had each of the kids ask him questions about what his life was like when he was their age, what he did in the Navy, etc. To listen to him recall specific dates and stories was amazing. 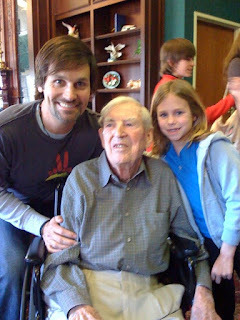 It was such a blessing for all of us to spend a little time with him.